Article originally posted at Entrepreneur. For foreign merchants looking to get a piece of the action, there are important considerations here — but not all of them are as obvious as you’d think. Of course, entering Latin America means you’ll need to adjust your product, marketing, and customer service to account for the local language. But adjusting the language and messaging of your business is really just the tip of the iceberg. There’s another important, yet often-overlooked, detail to consider when you’re looking to sell goods in Latin America: it’s the fact that many holidays and other seasonal dates that are important for online retailers are celebrated on different days than they are in other parts of the world. Foreign merchants wanting to cut their slice of the Latin American ecommerce pie would be wise to take these seasonal differences into consideration. For one, knowing the correct dates is important in order to offer promotions at the right time. The bonus is that certain seasonal dates — if you get them right — can be the perfect opportunity to debut your business in these new markets. 2. Father’s Day. In the United States, Father’s Day is celebrated each year on the third Sunday in June. It’s the same date for Colombia, Argentina, and Ecuador. In Brazil, however, Father’s Day is actually on the second Sunday in August. This year, it falls on Aug. 12. 3. Valentine’s Day. In the United States, Valentine’s Day is celebrated each year on Feb 14. In Brazil, it’s on June 12 — and it celebrates a different saint: Saint Anthony. Argentina also has a different custom; while the holiday is on the same day as that in the United States, Argentina also celebrates a separate “Sweetness Week” during July, when sweets are exchanged for kisses. Finally, Colombia celebrates a similar holiday called Día del Amor y la Amistad on the third Saturday of September — this year, Sept. 15. 5. Back-to-school season. While not necessarily a holiday, back-to-school season is a very important date for online merchants to get right. In the United States, students go back to school in late August or early September. But for many countries in the Southern Hemisphere, like Brazil, Argentina, and Chile, students actually return to school in February or March. This means that the shopping frenzy for school supplies usually comes toward the beginning of the year. How many sales do all these seasonal dates generate? And what products are sold? 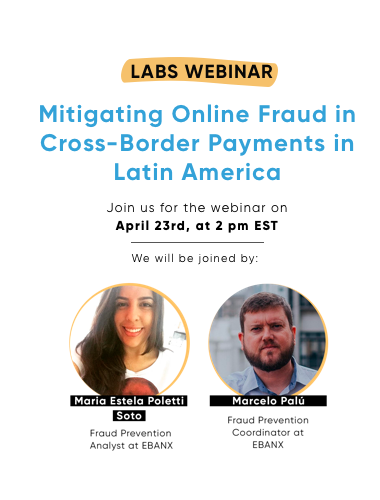 Obviously, certain dates for the observances mentioned above are more important for foreign merchants looking to sell their goods online in Latin America — particularly Black Friday, Cyber Monday and Father’s Day. Argentina. Last year’s version of Cyber Monday in Argentina saw a 40 percent increase in online sales over the previous year’s date, for a grand total of 4.34 billion Argentine pesos, or $160 million USD. Cyber Monday also attracted 2.35 million users, clocking in at 200 transactions per minute. For foreign merchants, tapping into these markets isn’t all that hard. Latin Americans have very similar consumption habits to North Americans’, meaning that they purchase the same types of products. Electronics, sports equipment, clothes and accessories and travel products are all in high demand, just as they are in the United States. Ultimately, when it comes time to prepare for these seasonal dates, remember that the sooner you get started, the better. It’s necessary to think three to four months in advance of the date you’re getting ready for, in order to give you enough time to prepare your stock, the logistic solutions you will use and so on. By planning ahead and noting the differences between these major dates, there’s no reason why your move into the Latin American ecommerce market shouldn’t succeed. Moreover, given the fact that major players like Amazon have already begun to set up shop in the region, the time to move is now, so you can hit the ground running by the start of next year. This article was originally posted at Entrepreneur.